This narrative non-fiction picture book about the sensational rising soccer star Neymar da Silva Santos Júnior is perfect reading for the 2018 World Cup. 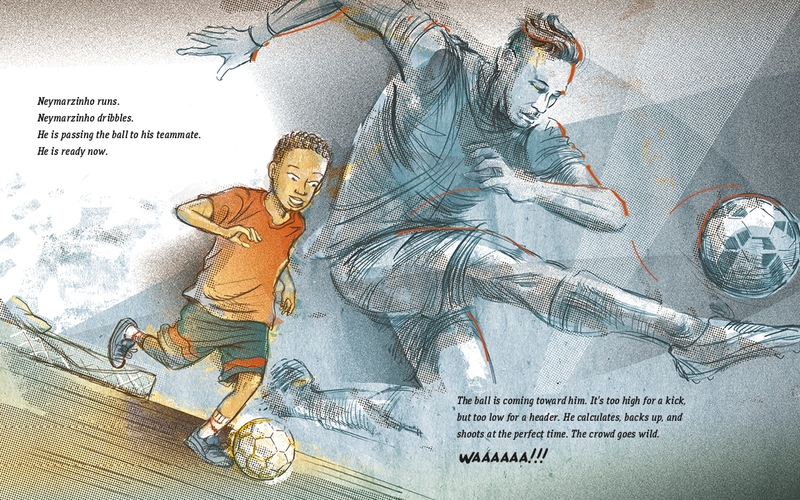 Born in Brazil, Neymar Jr. grew up imagining that he might one day become a famous soccer player. Now his dream has come true. 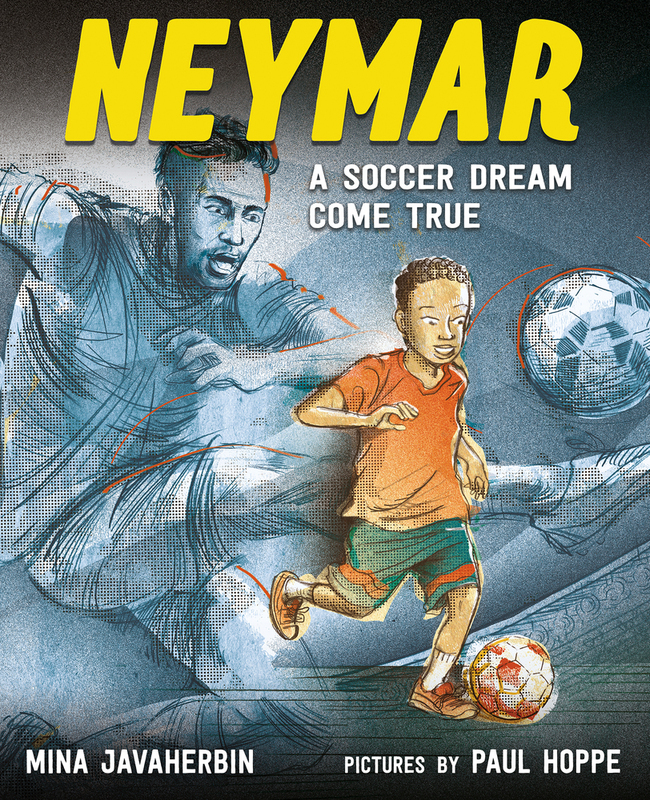 Using playful, child-friendly language, deep knowledge of the sport, and passion for it author, Mina Javaherbin, brings to life Neymar's childhood and professional career for young soccer fans to enjoy. 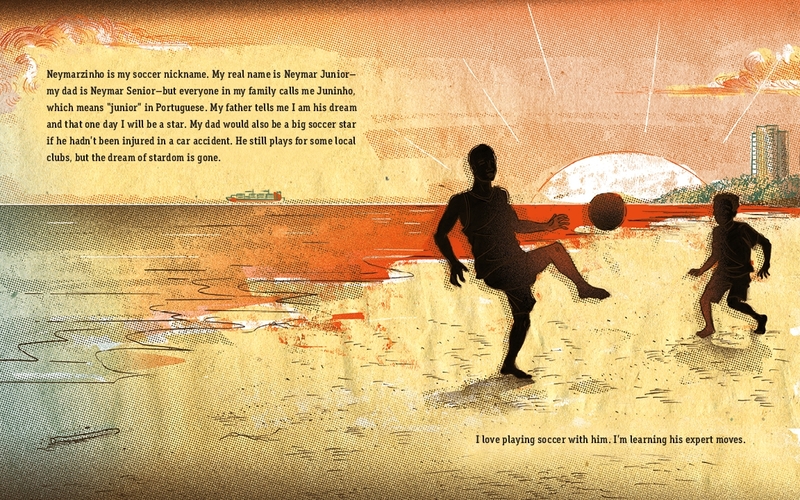 Her text is accompanied by Paul Hoppe's modern, colorful illustrations. 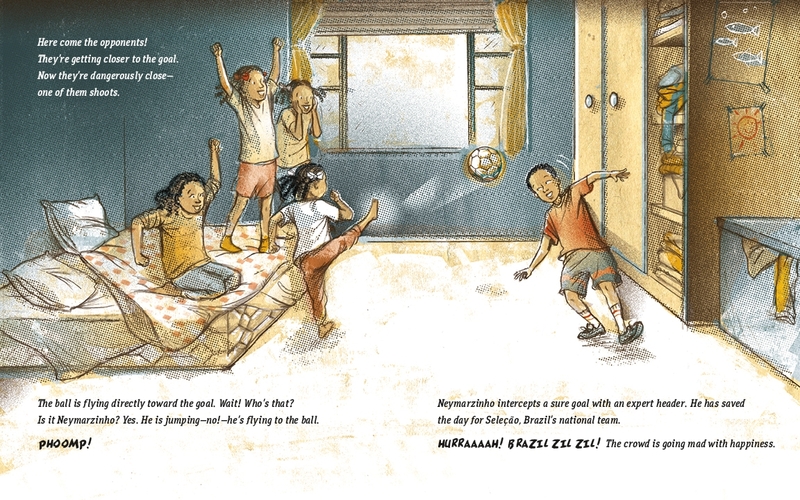 Mina Javaherbin is the author of many picture books including Goal! and Soccer Star. Born in Iran, she now lives in Southern California with her husband and two children, who are avid soccer players and fans of the sport. Paul Hoppe is an illustrator with many talents. He has illustrated comic books, and many children’s books including the Last-But-Not-Least Lola series and his very own picture book The Woods. His work can be found in many publications including The New Yorker, The Wall Street Journal, and The New York Times. He is originally from Poland, was raised in Germany, and now resides in Brooklyn.